Adventure Montessori’s Amazing History of Academic Excellence. Adventure Montessori Learning, Inc. offers an educational continuum from infants through the sixth grade. We offer a safe and nurturing educational environment in a Montessori setting. We believe, in our Montessori environment, that every child will become competent, confident, compassionate, and above all capable. We know that within each child is the seed of unlimited potential which will guide that child into adulthood. 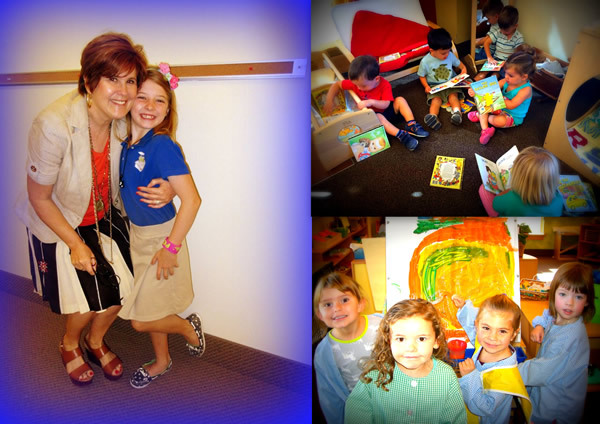 In our day care center as well as our private school, we emphasize an individualized educational experience as opposed to a strict “one size fits all” based education. At AML we utilize many different modalities to teach and achieve our developmental and educational goals. NURTURING EVERY CHILD TO GROW TO THEIR FULLEST POTENTIAL. Recent research shows that at least 80 percent of a child’s brain development occurs by the age of three. It further suggests that as much as 30 percent of a youngster’s brain capacity can be lost without a nurturing early environment that encourages learning. At Adventure Montessori we believe that the most important years of a child’s education are not high school and college, but the first six years of life. As a result, Adventure Montessori regards infant and early childhood education as the very foundation of everything that follows. Our goal is to treat each student on an individual basis producing self-discipline and a life-long love of learning.